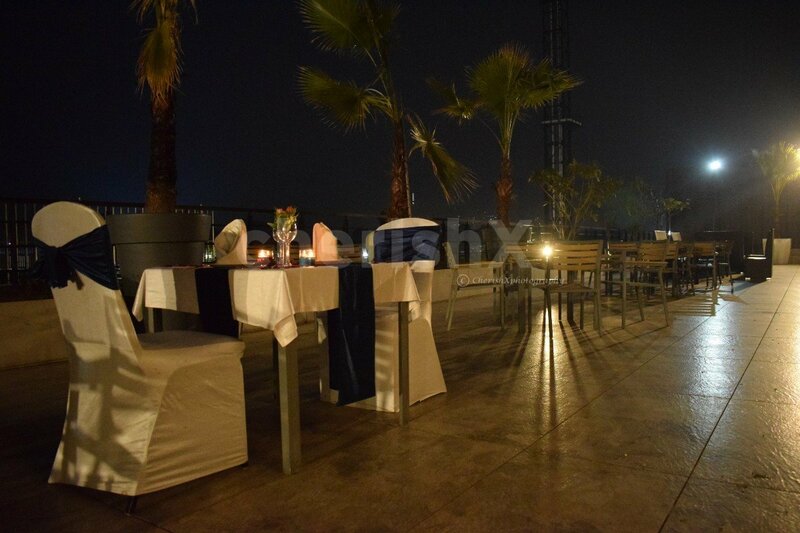 Get a whiff of fresh, clean air away from the noise of the city. 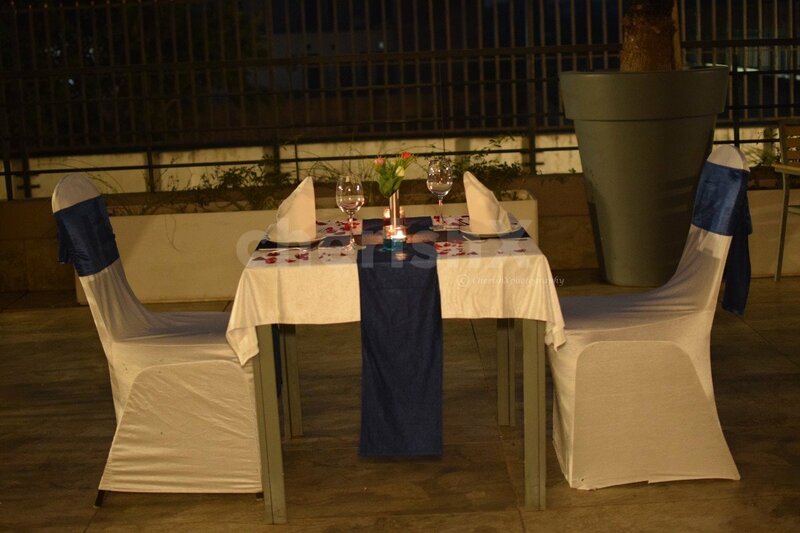 Opt for a state-of-the-art open-air candle-lit dining experience, under the roof of the sky and the light of the stars! 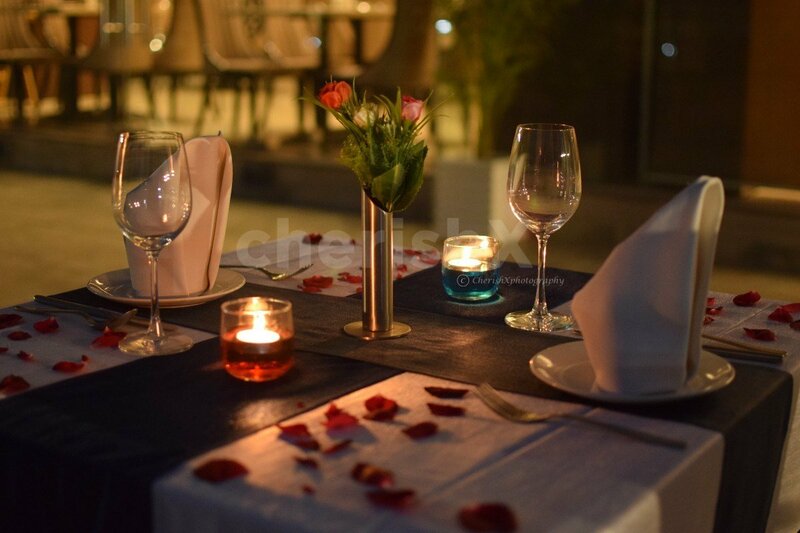 A quick, sweet get-away with your loved one, in the perfect romantic setting, with mood-uplifting music is just the right way to rejoice your bond! 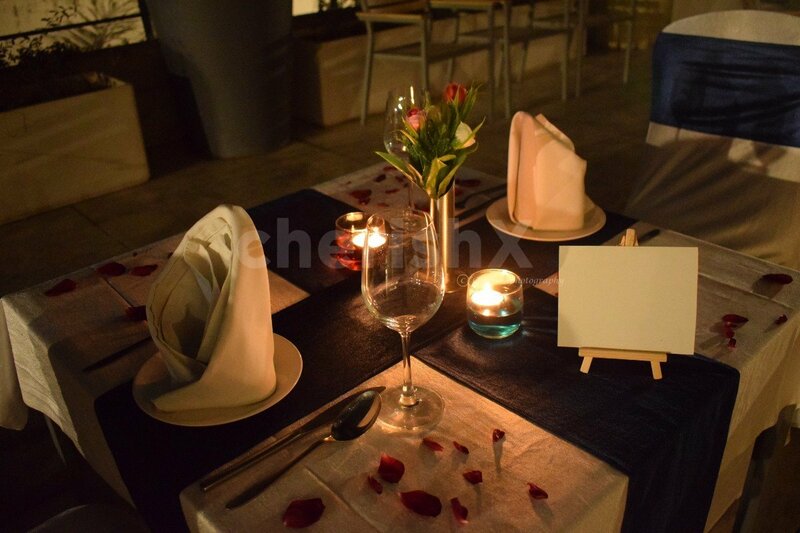 What’s more, you will be served welcome drinks for two upon arrival, followed by a delicious multi cuisine 3 course veg/non veg meal comprising of 2 starters, 2 mains, 2 desserts, and unlimited breads atop a beautifully decorated table complete with fancy candles and artificial flowers. 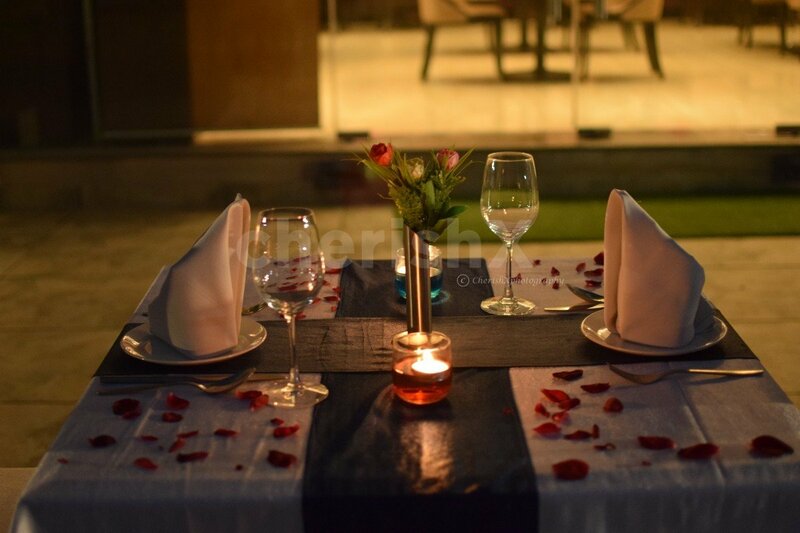 You will have a private butler at your service to make the experience even more convenient and fine-dine for you, and electric heaters/sigris or mist fans will be provided in accordance with the weather to ensure that the whole experience is as pleasant as possible.The property is located on the Gurgaon-Faridabad Road & is equidistant from Gurgaon, Faridabad and Delhi, and is easily accessible by private/personal cars or cabs. 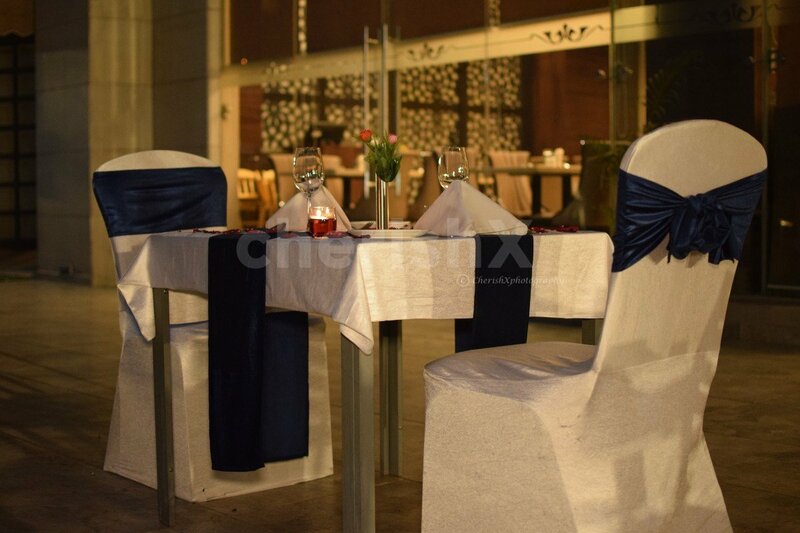 You can make this experience stand out even more by adding some of our well-thought-out customizations to the package, such as a sumptuous cake to sweeten the moment, a bouquet of gorgeous flowers to sweep them off their feet, and a private guitarist to serenade you and make the event even more special. If transport is dicey for you, we have you covered with the option of pick up and drop; you can check below for details.